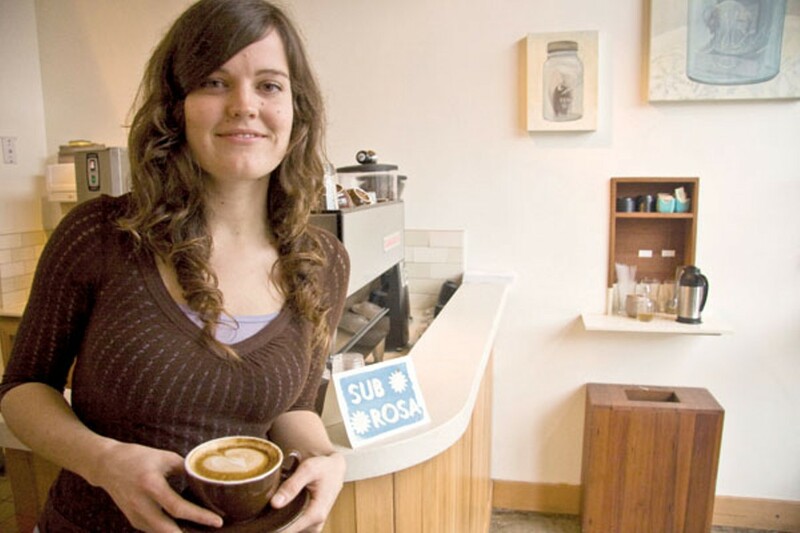 Catherine Bullimore, owner of Temescal's SubRosa, tries to find "crafty" ways to make customers happy when they order something she doesn't offer. For those accustomed to the bland, milky concoctions that pass for a cappuccino at many American coffee shops, drinking one at the newly opened Berkeley cafe, Local 123, can be a revelatory experience. Co-owners Frieda Hoffman and Katy Wafle serve their cappuccino in five-ounce porcelain cups, with just a thin layer of golden froth sitting lightly atop, a simple leaf design — that signature mark of the skillful barista — the only dash of white. The drink is impossibly smooth (no sugar needed), the flavors complex and intense, as though you've somehow tapped straight into the earthy, raw-sienna essence of the bean. It's liable to cause even the most casual coffee drinker's eyes to roll back in his head. No wonder East Bay coffee connoisseurs have come out in droves since the cafe's June 17 opening, some declaring, on online message boards like Chowhound.com, that it may even be the very best coffee shop in the Bay Area. Subjective superlatives aside, what's clear is that Local 123 is part of a growing trend in the East Bay, one that has seen a mini-explosion of "serious" coffee shops springing up: Awaken Café in downtown Oakland; SubRosa and Remedy in Temescal; and the Blue Bottle Coffee Company's new roastery and cafe, which recently opened near Jack London Square. Run by a motley collection of industry outsiders (a former pastor, a massage therapist, and an assortment of artistic types among them), these new cafes are transforming the local coffee scene. Youngish baristas treat the task of pulling the perfect espresso shot with an intensity that's part technical precision, part soul-inspired artistry. At the drop of a hat, they can wax poetic about the origins and flavor profile of a given coffee bean. For many Bay Area epicures, this shift in the local coffee culture is long overdue. 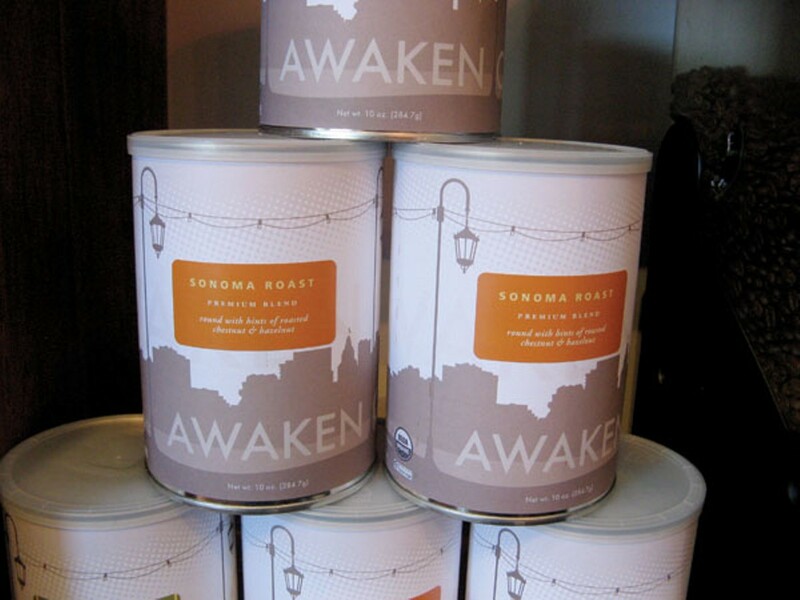 According to Cortt Dunlap, the aforementioned message therapist and co-owner of Awaken Café, "As much of a gourmet culture we are here ... as far as coffee, we're way behind." What Dunlap and other like-minded cafe owners are quick to point out is that the coffee renaissance sweeping Oakland and Berkeley isn't an isolated occurrence, but part of a larger movement that has been picking up momentum for some time — a trend that many in the business have dubbed the "third wave" of coffee. 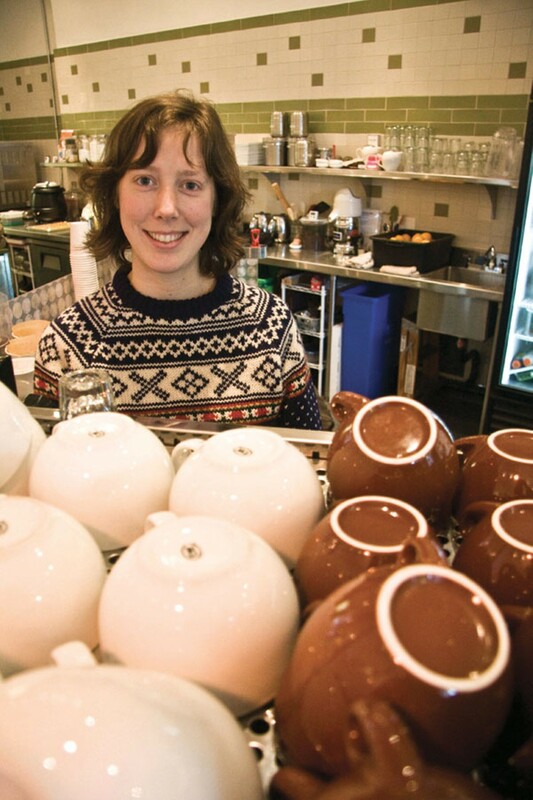 The term is generally attributed to Trish Skeie (now Rothgeb), who in 2002 wrote an article titled "Norway and Coffee's Third Wave" based on her observations of young, innovative baristas she encountered while working for a roasting company in Oslo. She asserted that there have been three distinct movements in the contemporary coffee scene: The first wave had its roots in the post-World War II era, when companies like Folgers and Maxwell House popularized instant coffee, making the product accessible to American households on a large scale. The second wave started in the late 1960s with the opening of Peet's, which of course had its origins in Berkeley, along with later imitators like Starbucks. These companies introduced America to higher-grade "specialty" coffees and were known for their dark-roasting style. To a certain extent, they introduced the American public to the idea that there are different coffee-growing regions with unique characteristics. The third wave, according to its adherents, is defined in part by what Local 123's Wafle calls the "equal role of farmer, roaster, and barista" in producing a good cup of coffee. "Before," she said, "it was, 'Oh, it grows somewhere, it's roasted somewhere, we'll get it and do whatever we're going to do with it.'" At a cafe purporting to be third wave, the barista can tell you not only what country a particular coffee is from, but in many cases even the specific farm or plot of land. Cafes like Local 123 serve coffees that come from everywhere from Kenya to Guatemala to Indonesia, and while co-owners Wafle and Hoffman don't procure or roast the beans themselves, the two cited the personal relationships that their roaster, Healdsburg-based Flying Goat Coffee, has with the individual farmers as one of the main reasons for choosing that particular roaster. Another local third-wave roaster, San Francisco's Ritual Roasters, features its "Green Coffee Buyer" prominently on its web site — complete with a detailed account of his latest expedition to some far-flung locale to meet with the farmer who's growing yet another one-of-a-kind coffee bean. Of all the things that have come to be associated with the third wave — tattooed baristas, progressive politics, and perhaps, according to naysayers, a healthy dose of self-importance — this shift is probably the most important. 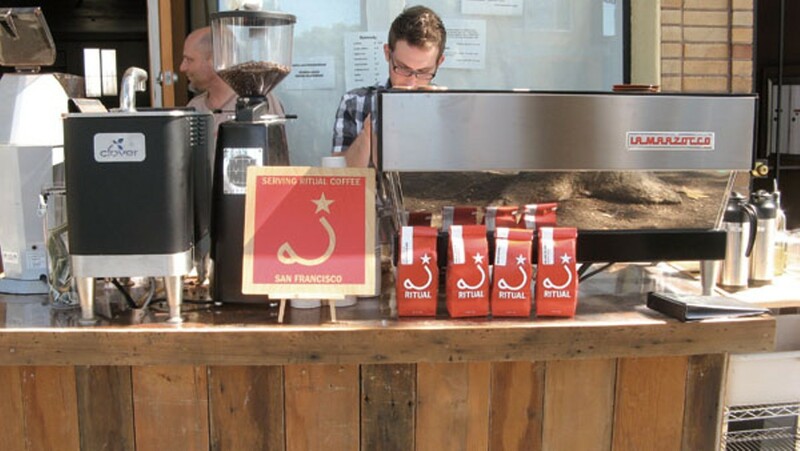 Roasting companies like Ritual and Blue Bottle, and the cafes that serve their products, may be the public face of the third wave in the Bay Area. But according to Ken Davids, editor of the Berkeley-based CoffeeReview.com, the increasingly collaborative relationship between roasters and coffee growers has sparked "an entire reworking of the global supply chain for high-end specialty coffee," allowing the growers to be more innovative and providing a market for the coffees that result from their innovations. The other hallmark of third-wave coffee is an overwhelming preference for light- and medium-roasted coffee, as opposed to the darker roasting style popularized by Peet's and Starbucks. At its most basic level, the roasting process involves the application of heat to the green coffee bean, whose flavor gradually changes as it goes from a pale yellow through various shades of brown and, eventually, if you roast long enough, to a solid, fully carbonized black. To a third waver, this is akin to taking a prime rib-eye steak and simply burning it to a crisp. Plus a farewell to Remedy Coffee. Meet the Express' new food writer. Plus, an allergen-free commercial kitchen.